Wrinkles and creases interrupt the smooth look of leather furniture, and can reflect badly on the room's overall decor. If wrinkles are not removed from the leather, they will often set in and turn into worn creases. 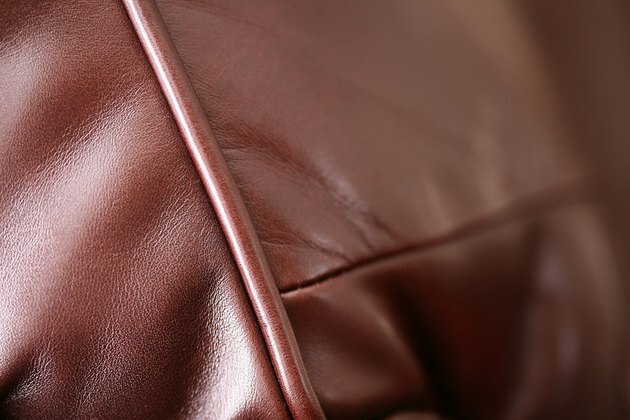 Creases often makes leather furniture look older and worn, reducing its value. Two common household appliances will help smooth the wrinkles out of your leather couch. Keep your leather couch looking nice by removing wrinkles. Cut or tear away a piece of a brown paper bag. The piece should be large enough to cover the wrinkles on the leather couch. Place the paper bag over the wrinkles. Turn the iron on to a low temperature setting. Place an iron on top of the paper bag. Move the iron back and forth over the wrinkles. Don't use steam. Run hot air over the wrinkles on the leather couch with a blow dryer, if they persist.